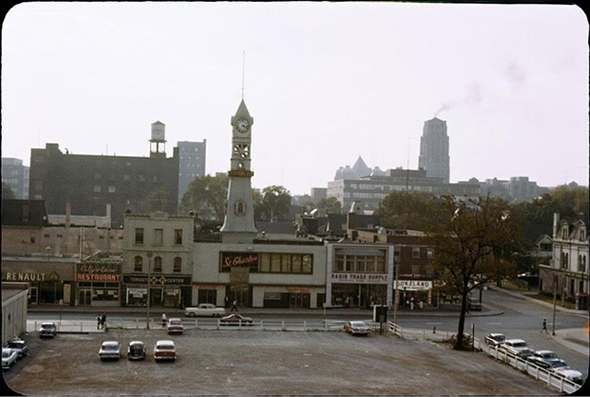 Toronto used to be a tavern town. Scattered around the city, these mostly humble and gritty spots were where we used to unwind over Labatt 50, long before it become semi-ironically cool to do so. In the 1970s and '80s, bars didn't need to have a hook or a playful concept to attract a crowd. Beer and live music would do the trick. The history of the Toronto bar is far shorter than you might think. 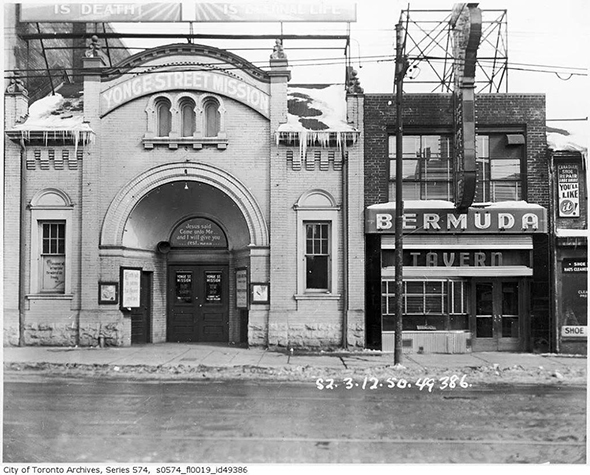 The Silver Rail was the first cocktail bar in Toronto, and it didn't open until 1947. 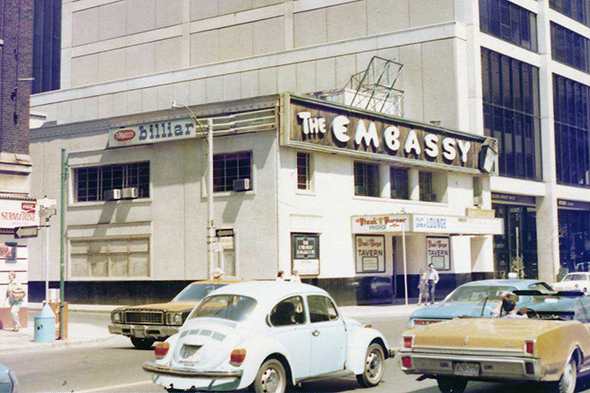 Located at Yonge and Shuter, it brought upscale booze to the city. At the time an Old Fashioned cost 65 cents. Advertisements touted the "scientific" preparation of drinks. 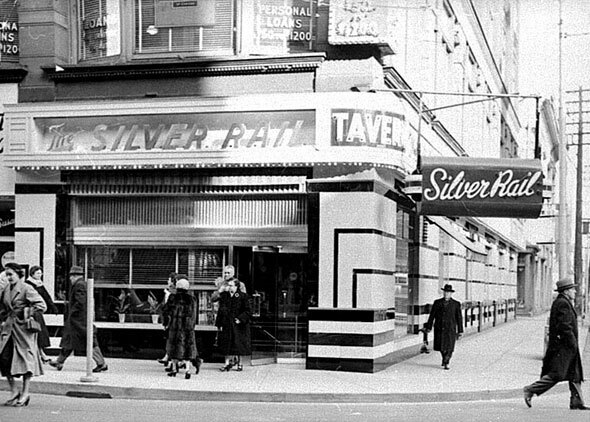 Silver Rail Tavern, Toronto's first cocktail bar. 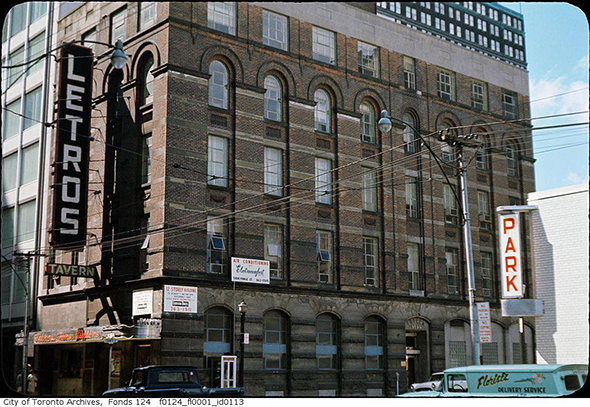 Following closely behind the Silver Rail was the Horseshoe Tavern. 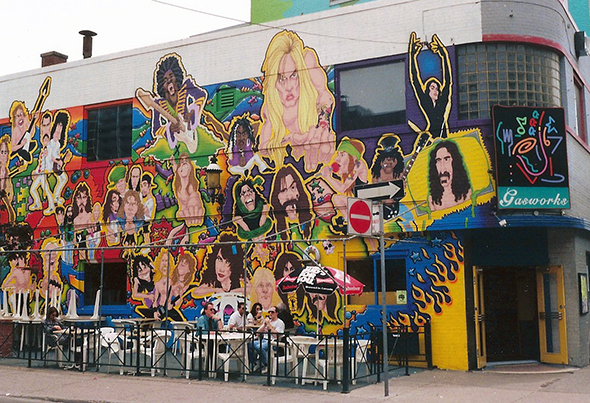 Since the legendary Queen West bar opened its doors, hundreds of live music venues have come and gone in Toronto, most of which have been long forgotten even as a few are thought of with fierce nostalgia. Places like Larry's Hideway, the Gasworks, Ports of Call, the Big Bop, the Brunswick House still animate our collective memory in a way that's hard to explain. Perhaps these places remain so distinct because they exists as bastions of youth. Your first pint, your first live show... a vague feeling of what it was like to have no real responsibility. 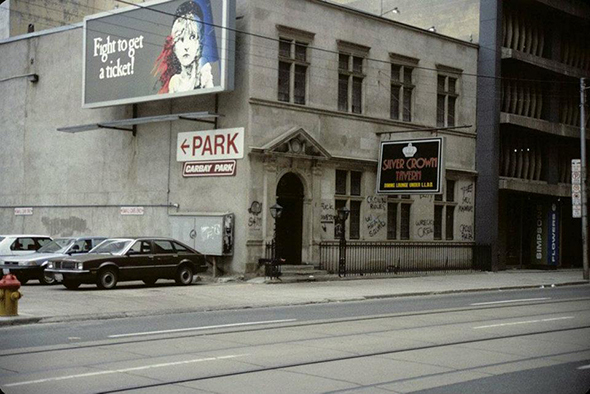 The St. Charles Tavern, a foundational space for Toronto's queer community. Other bars like the St. Charles Tavern were profoundly important as safe places for Toronto's queer scene. A city needs places like these, unofficially sanctioned hubs of culture where people can congregate and feel a sense of community under dim lights and semi-flat beer. So let's toast our lost bars and taverns, and the time when places didn't have to be cool to be cool. 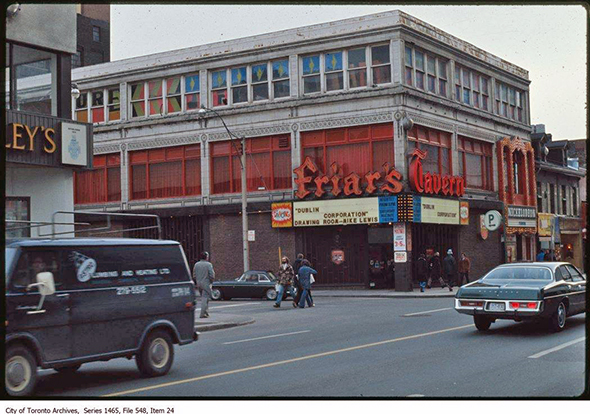 Behold, Toronto's lost taverns and bars. 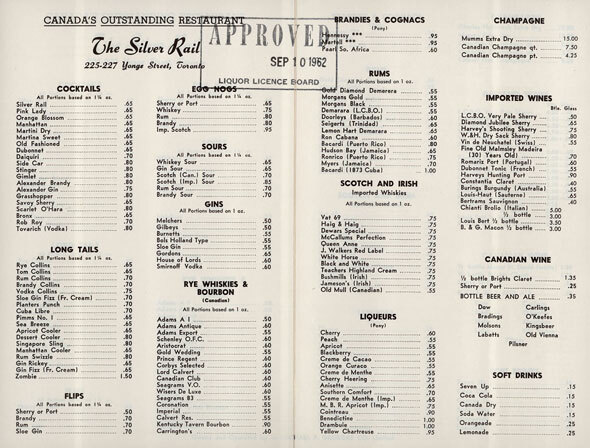 Silver Rail menu, ca. 1950. 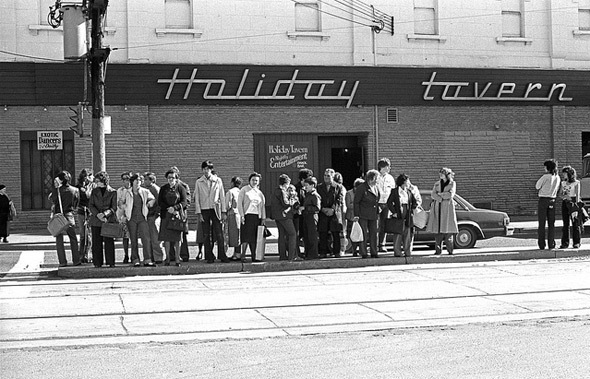 Holiday Tavern (pre-Big Bop), Queen and Bathurst streets. 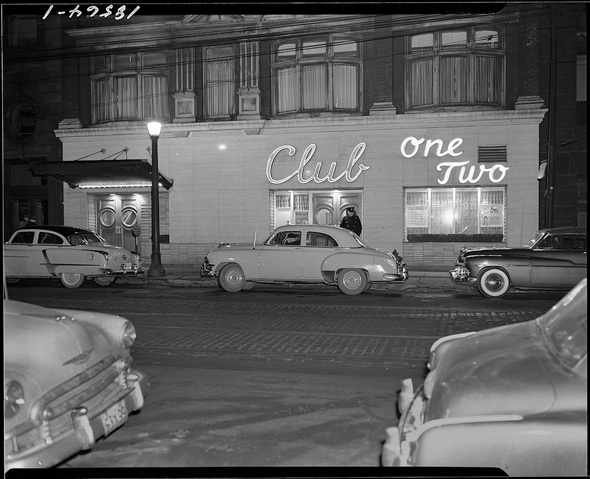 Club One Two, 14 Adelaide St. East. 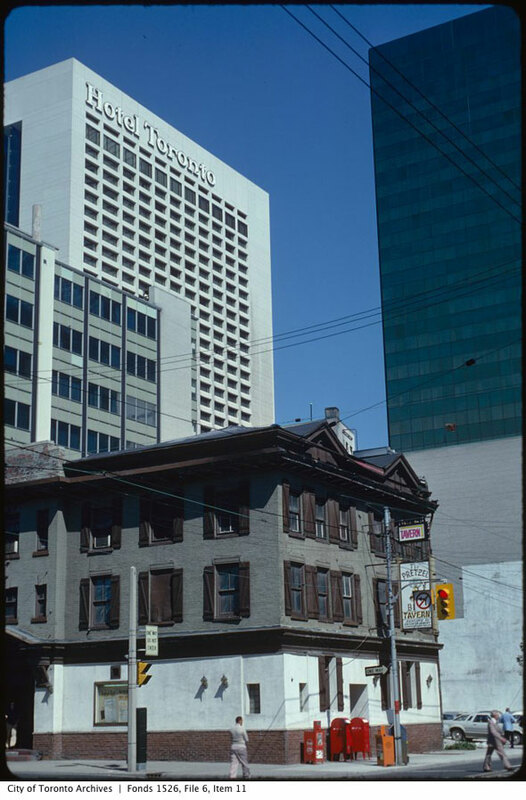 Bermuda Tavern, 379 Yonge St.
Friar Tavern (now the Hard Rock Cafe), near Yonge and Dundas. Embassy Tavern, Bloor and Bellair. Colonial Tavern, near Yonge and Queen. Letros Tavern, 50 King St. East. 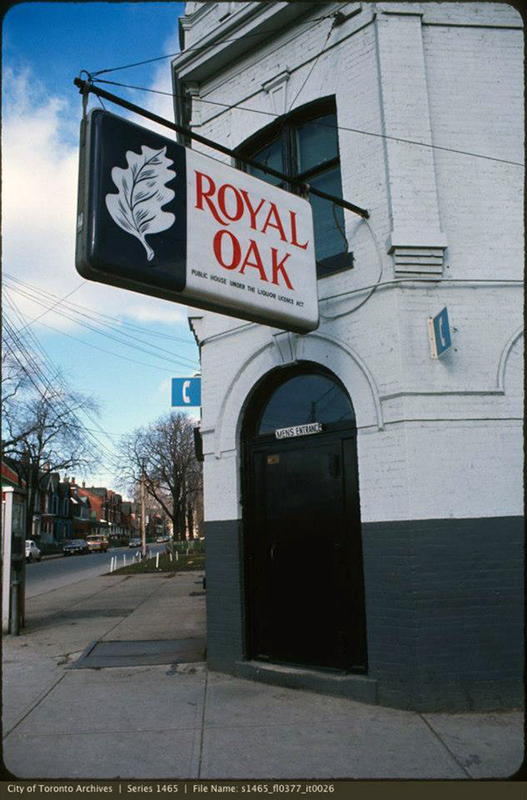 Royal Oak Tavern, Dundas St. West and Ontario St.
Silver Crown Tavern, 25 Richmond St. West. 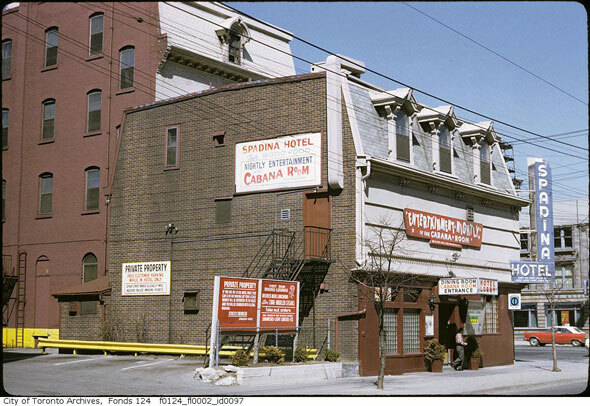 Spadina Hotel, King St. West and Spadina Ave. 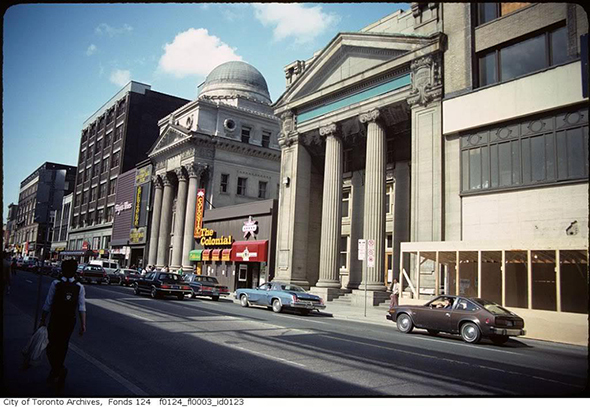 Ports of Call, Yonge St. and Shaftsbury Ave. Photo courtesy of Bryan Reingold. 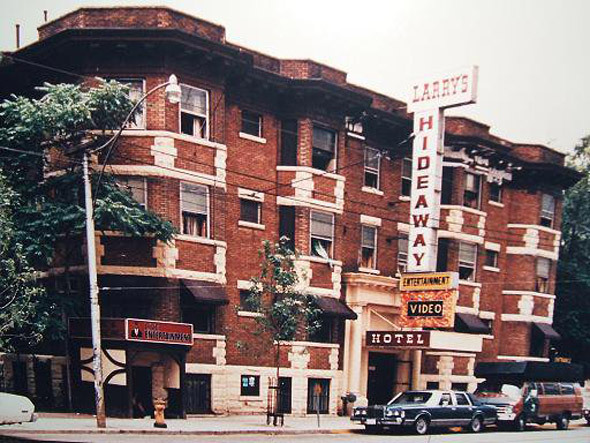 Larry's Hideaway, 121 Carlton St.
Pretzel Bell Tavern, Adelaide and Simcoe streets. 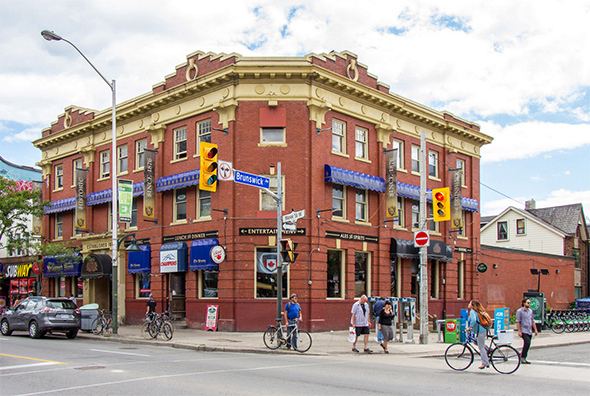 The Gasworks (photo by Dan McLaughlin), 585 Yonge St.
Brunswick House, Bloor St. West and Brunswick Ave.
Hard Rock Cafe, 2015, 229 Yonge St.